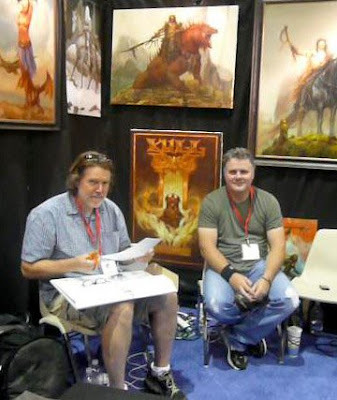 Our yearly pilgrimage to San Diego Comic Con (Convention) took place last week. As usual it took some time to recover, due to nominal sleep. 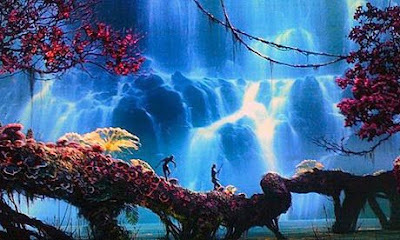 Images from the film Avatar were alive and thriving in my consciousness for quite sometime. 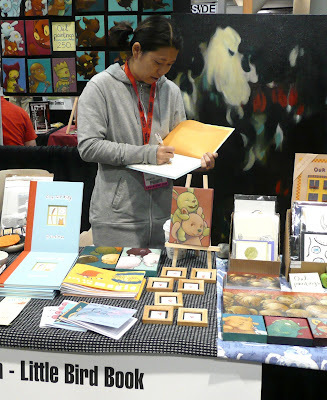 Tara McPherson (above) signing at her booth. This year Hall H was the main stage for some of the most interesting and exciting presentations. The downfall, however, is that even with a 6500 person capacity, getting into the Hall was virtually impossible unless you are a devoted fan that is willing to sleep outside in a line to be one of the many fortunate ones to get a seat the following morning. I adore story, film excellence in visuals and certain directors...but, not enough to spend my valuable Comic Con time waiting in line. 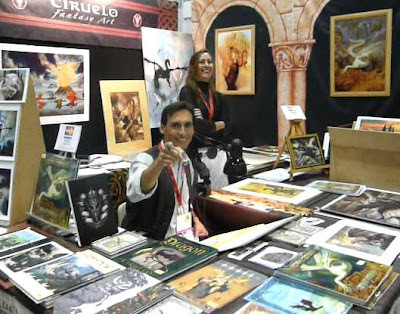 Thus, instead, we utilized other resources to get into Hall H.
Although we missed Johnny Depp and the Alice in Wonderland presentation, we did see the presentation of James Camerons' Avatar and Terry Gilliams' The Imaginarium of Doctor Parnassus. Avatar has left an indelible mark on my psyche. Some people are skeptical if Cameron can tell a good story. Well, from the 25 minutes of footage I witnessed I'd say the story element is strong. Eve stayed an extra day specifically to see the Lost and Fringe panels. 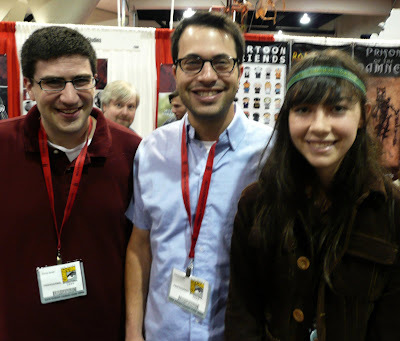 Here she is with two of the writers from Lost who she spotted walking the floor. How many people do you know that can recognize TV writers? I live with one who is very devoted to Fringe and Lost. She would've loved to have met JJ Abrams or Damon Lindelof, maybe next time.